ActiveCoat antibacterial coating to prevent the growth of bacteria and fungi, reducing the risk of cross-contamination from surfaces. Components are finished in hard-wearing stove baked grey paint. Clad back option complies with BS 545, recommendations for storage of archival documents. 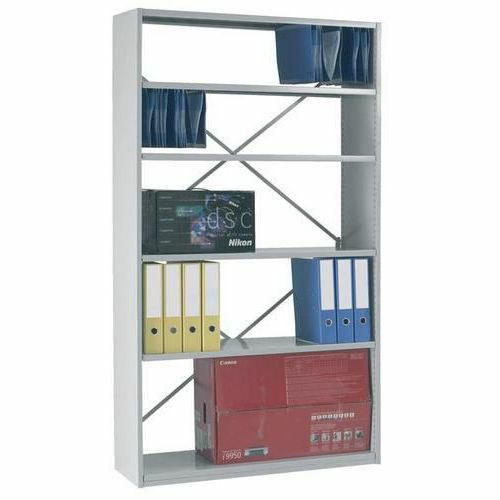 Sturdy double skin office shelving available with an open or steel clad back. Box Content: 2 x cladded upright frames. Clip in steel shelves. Cross bracing. Cladding for rear included with steel clad back shelving. Fixings and assembly instructions.